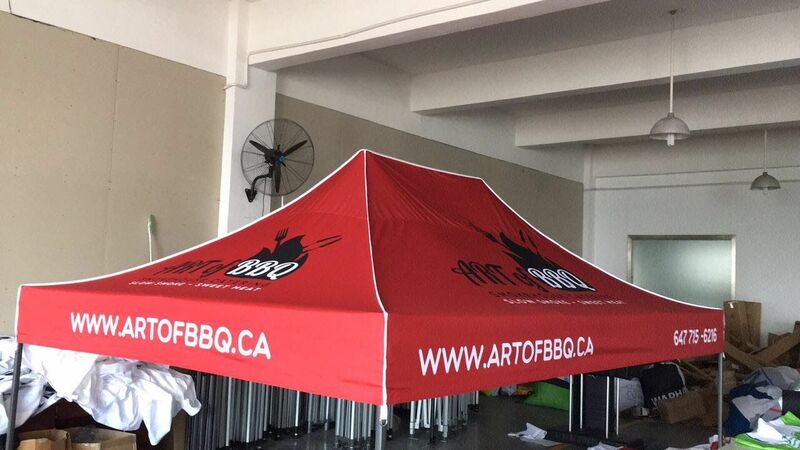 Personalize a tent for your event! 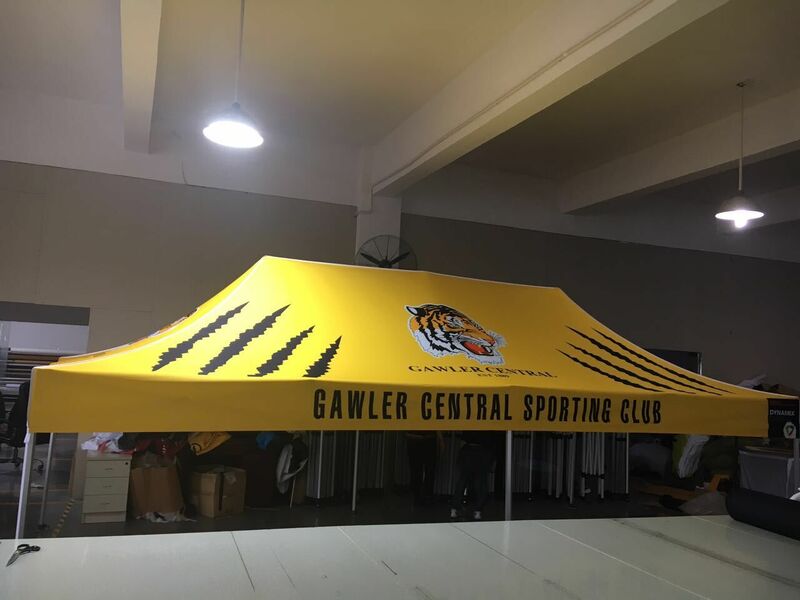 Great for sports teams, promo displays, flea markets, and more! The Deluxe ShowStopper has you covered with reinforced stability and robust design. 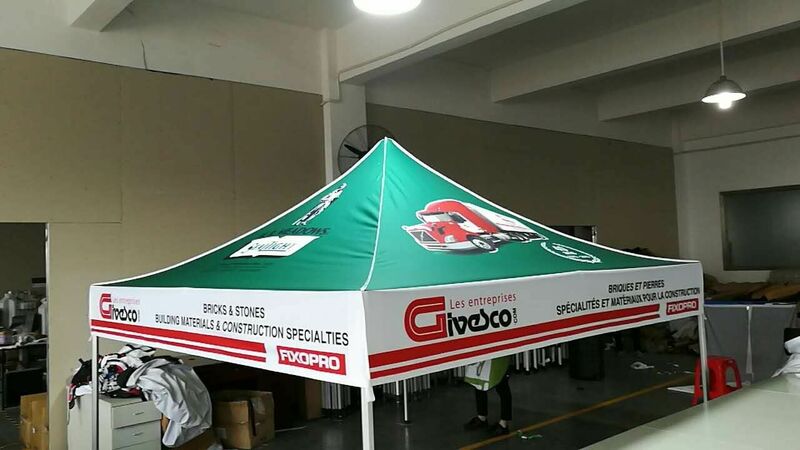 Steel frame with pebble powder-coated finish. 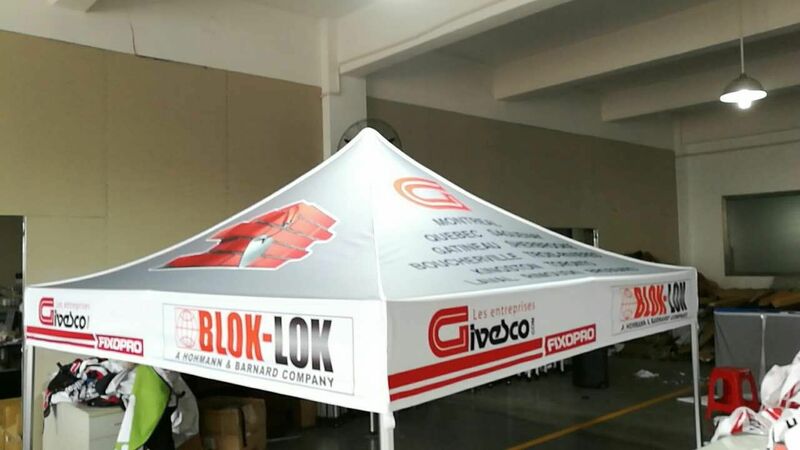 Easy set-up with crank-up canopy. 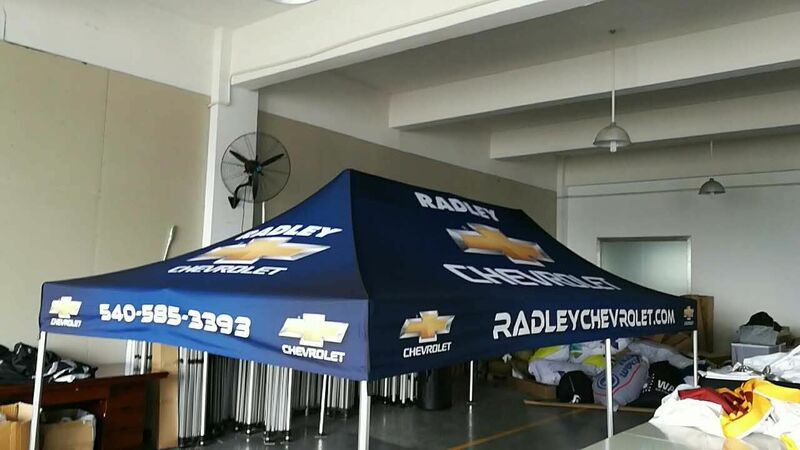 High quality, flame retardant, weather-resistant, 400 denier polyester canopy. ABS plastic gliders and feet. You can have up to 3 side walls.